In the middle of Corozal, Belize, you’ll find a lively square where people meet to eat and talk in the shade of coconut palms and almond trees, or on benches under the clock tower. I like to spend time there and Sundays is when Corozal is most alive with people. Many have the day off and the park is full of a diverse mix of people—a multitude of different cultures and ethnic backgrounds live in harmony. The people are friendly and outgoing. Most wave or say hello to you as you walk by. I’ve lived here for a year now—leaving behind the cold in Minnesota for the tropical warmth and beauty of this stretch of northern Belize. For me, the low cost of living was the biggest draw—it’s very reasonable. I don’t have a large income but I live very comfortably. With some money my mother left me, I had the funds to build my home here. It cost just $62.50 a square foot to build. Because I’m retired, I can do just about anything I want with my day. So far I have written 12 e-books with more in the mill. I also sell things on eBay, nothing I have to ship from here. As my home is on a canal that hooks up to the bay, I like to fish sometimes. The open-air market is one of the things I enjoy most about living here. The huge variety of fruits and vegetables will spoil you for the stuff in the supermarket in the States, it’s so ripe and full of flavor. You’ll have a lot of opportunities to eat out here. Two of the nicest places that come to mind are on the bay. They’re open-air and serve wonderful dishes. Prices are high-end by Corozal standards—you could spend $40 to $50 per person on a slap-up meal. Head to the more traditional restaurants here for a meal and drink and you’ll pay between $10 and $15. One of my favorite places for breakfast is June’s Kitchen. A breakfast plate—with the usual meat choices, two eggs, hash browns, plus a banana and a couple other fruits like watermelon, cantaloupe, or papaya—costs just $5. Many restaurants also have special meals from $4 to $5. As an example, a three-piece dinner of fried chicken with fries and salad costs $4 at a local hotel. You can live very inexpensively here; you’ll see your dollars stretch. When I first moved, I stayed in a one-bedroom apartment at $450 a month. If you need something bigger, it’s still reasonable: friends rented a three-bedroom house for $750 a month. If you take the time to look for deals, you’ll find them. I have another friend that pays $225 a month for two houses while he waits for his own home to be built. He and his family live in one house and he stores his belongings in the other. Things are convenient here. The country’s base language is English. Belizeans even drive on the same side of the street as in the U.S. If I want to take a trip, Corozal has a little airport, so it’s easy to get anywhere in the country. You’ll find most everything you need in Corozal: banks, bakeries, clinics, computer repair shops, and more. If there’s anything I can’t find, Mexico is nine miles away. 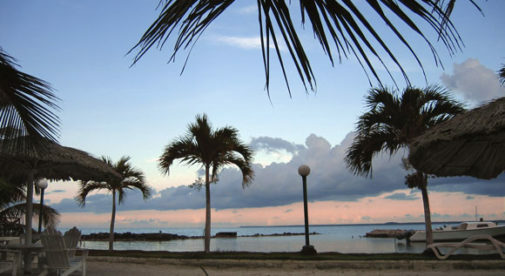 The city of Chetumal has almost anything you could want. And one of the biggest benefits: With all this sunshine, I have no need for a snow shovel anymore!